Following independence from the Soviet Union, Central Asia’s authoritarian states have consolidated in an era of liberal globalization. The region bears witness to these contrasts. Nationalist elites live global lives. Hard authoritarianism needs soft finance. Unaccountable strongmen battle opponents in Western courts. They abuse international law for their personal political purposes and regime’s security. 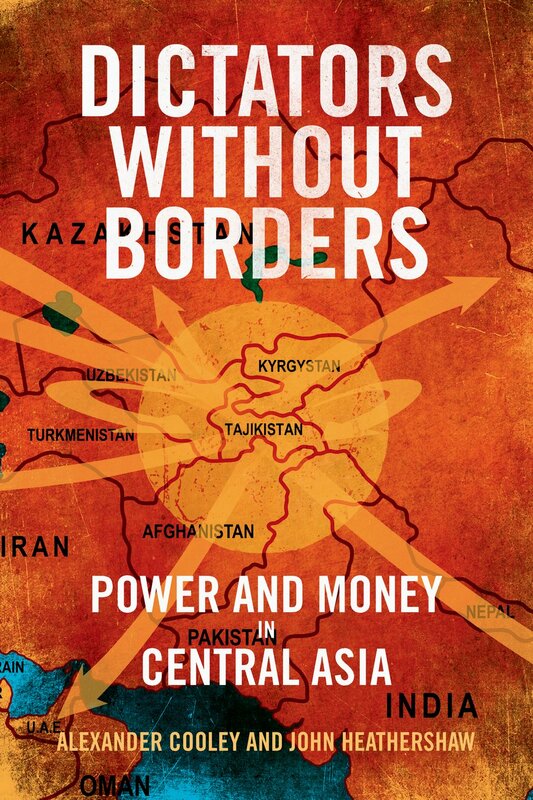 Drawing on court records, financial data and investigative journalism, qualitative case studies of transnational elite practice from four of the five Central Asian states demonstrate that contemporary authoritarian regimes utilise liberal legal, financial and criminal justice mechanisms to further their own power. Cases of money laundering and extra-territorial repression are detailed and gaping holes in anti-corruption initiatives are illustrated. Great power politics is shown to intertwine with hidden finance. Particular attention is devoted to the role of intermediaries such as due diligence consultants, lawyers, lobbyists and real estate brokers in facilitating transnational practices of authoritarianism. Available from Yale, from Amazon and all good book shops. In the Spring of 2017 we will be launching and presenting the book in locations in the US, Europe an beyond. Confirmed dates include the following.